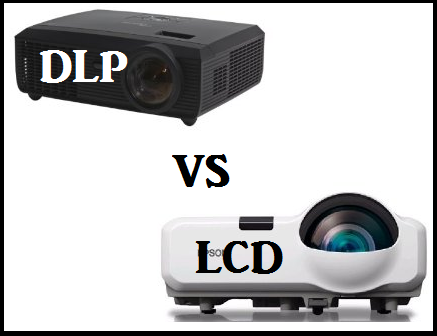 DLP vs LCD. When you are hiring a data projector for presentation , often encounter a decision to make - ie DLP or LCD projector . The differences are highly technical , in many cases, and the profane can end up more confused than ever! We have assembled a very brief summary of what you need to know when hiring a projector. DLP , or Digital Light Processor is a new technology that allows a much smaller projector to do. So if portability is important, for example , if you go on a plane with the projector, you can pay to see DLP . Own DLP chips are manufactured by the U.S. Texas Instruments company , and was aggressive marketing concept in recent years . This gives them a perceived advantage of LCD manufacturers are all competing against each other. The new generation of LCD (Liquid Crystal Display) projectors yet fight on the front waist with the introduction of a new smaller group, which allows manufacturers to create higher resolution portable projectors . DLP sometimes suffers the " rainbow effect " , where the image appears like a rainbow briefly visible as a change in one part of the screen to another . It comes as a second image that appears in the viewer's peripheral vision and is usually visible when instead focus on an area of high contrast or bright object . This does not seem "3" chip DLP , but these tend to be very high-end projectors in terms of price . LCD sometimes suffers from what is called the " screen door effect " , which means that the image is pixelated and appears as if you are watching TV through a screen door . Again the latest LCD projectors improved aperture ratio to address this issue and is much less of a problem than in the past DLP projectors use them to apply a contrast ratio much higher - . ie , blacks were more black than LCD , but some of the latest LCD models achieve a ratio of 6000:1 , which corresponds to the best DLP. Both go through changes and continuous improvement , to the point that it can not be said to have an overwhelming advantage over the other. So unless you have a very specialized need for your presentation , go to the model of projector that fits according to weight , size , brightness and price.